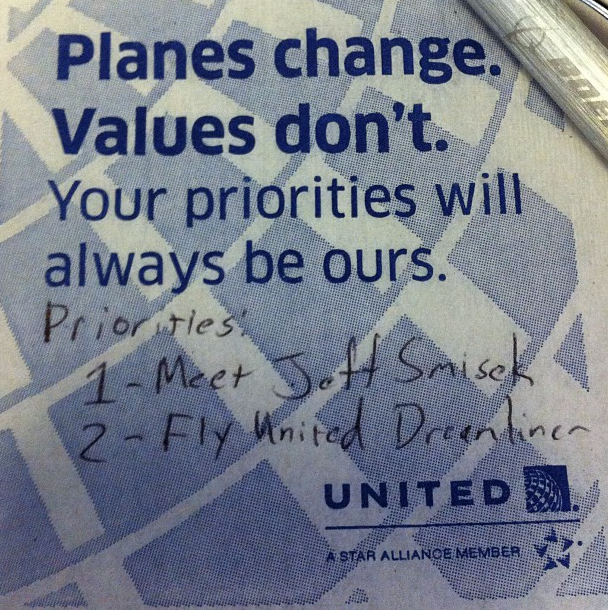 Why should you sit in on the #unitedplanechat about Bags? 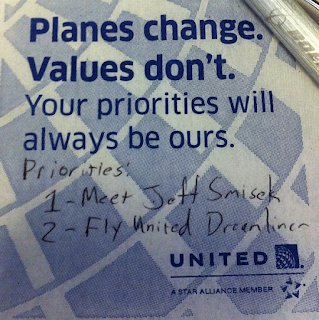 I've been a big fan of #unitedplanechat since its inception. One of my early posts was all about the chat. But why would I take the time to highlight a chat all about bags? People complain about their lost or missing bags all the time. United handles huge numbers of bags every day. With that many bags any company might lose one or two. How does United recover your bags? What types of special services are there with bags? How do the bag tags tell United employees where your bag is going? During the #unitedplanechat on June 3rd at 1:30 pm Central Time, you can ask all of these questions and more! 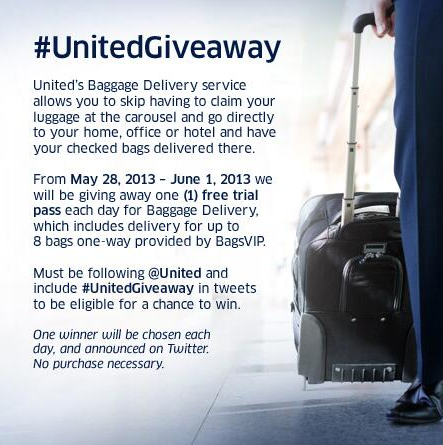 Oh, and you might want to be on the lookout for the #unitedgiveaway hashtag on Twitter. You might just get a chance to win 8 passes for BagsVIP, a great new service from United. Learn about BagsVIP Here! I remember the day I first saw N20904. I was at the Delivery Ceremony for ANA's first 787 (which you can read about here). I gazed upon 904 from a viewing deck high above the factory floor. She was perfect. The Date was September 26th, 2011. On August 31st, 2012, I booked my first flight. There was a lot of Twitter discussion that night about who was booking to Chicago and who was headed to Newark, or LA. I picked the Newark flight. My reason was simple, I wanted to go on the longest flight I could. I booked a variety of seats to get the best views. But just a few short days before my flight... it was cancelled due to delays. My heart was broken. (This isn't the nightmare, so keep reading). Then, the unthinkable. 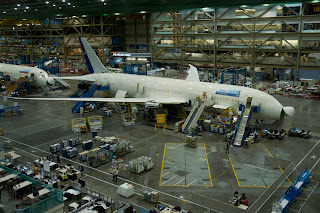 The Dreamliner was grounded due to battery problems. My shot to fly on a 787 was getting further and further away. Life changed for me while the Dreamliner was down -- I became a dad. Which changed my desires to travel. But, when the first United 787 return to service flights were announced, I booked. I first booked the IAH-DEN flight on May 31st, 2013. And only a few days later United updated their system with the May 20th flight UA1 to Chicago. I had to book it as well. Last Monday, I lived the Dream. 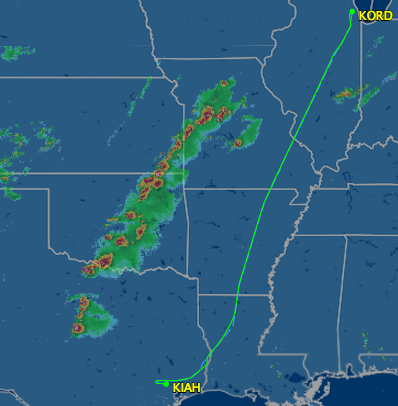 Sunday, May 19th, 2013 was a crazy day in Oklahoma. We had our first real tornadoes of the year. And I got sick. When my alarm went off at 4:00am Monday morning I was feeling even worse. I almost thought that I shouldn't take this trip. But I forged on. 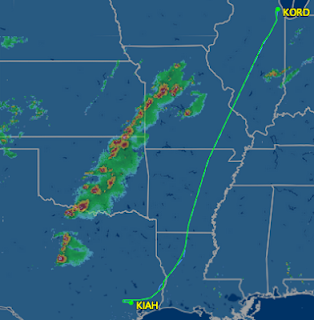 My flight to Houston was uneventful, and filled with anticipation. I'll spare you the details of the hoo rah before the show, and get to the flight. As we pushed from the gate I played with the windows (which are pretty amazing). 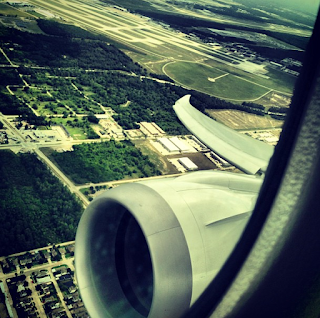 I gazed at the wing and the Giant GEnx engine. And, right on time, each engine forced its sixty-some-thousand pounds of thrust to send us flying into the sky. We started our right turn and headed north towards Chicago. It would be so easy to tell you that I just took a flight on a plane and it was no big deal. But it was a big deal. The cabin was roomier, the air was fresher, the windows were more tintier, and flight was much, much more amazinger. 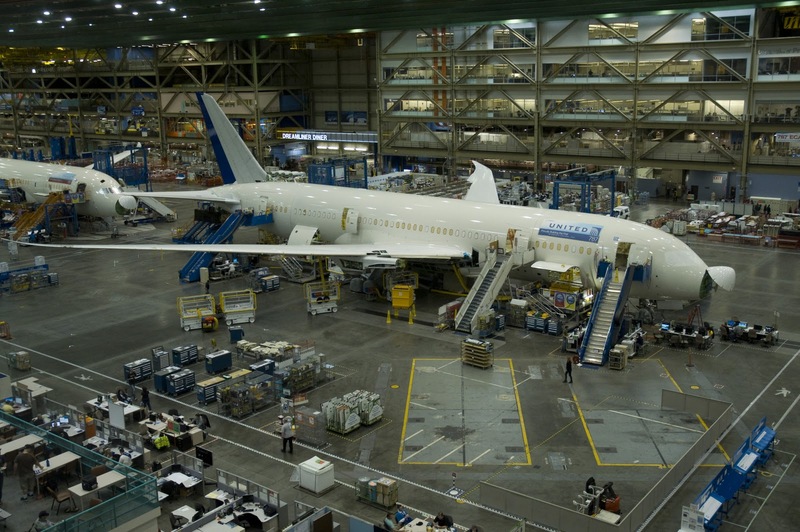 There are three things that you need to know about the Dreamliner. 1. It's quiet. Even though people told me that it would be quiet, I didn't really believe them. But the truth is, I couldn't really tell a noise difference between climb and cruise. I have this bad habit of humming through an entire flight, but I felt that I couldn't do it on UA1, because my seat mate might hear it. 3. It's fresh. With new technology, and a lower pressure altitude, the air inside the Dreamliner is so much more like a fresh spring day, than the normal airplane air. Boeing did an amazing job making this plane to feel like you're not flying. 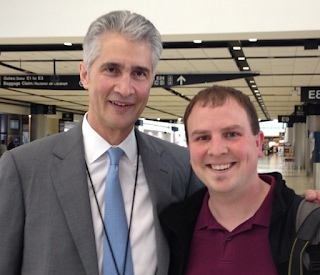 United took a great plane and made an amazing and triumphant return to service! The flight attendants were great, but I'll get to that later. When we landed in Chicago, I was in heaven, but my dream would quickly end, and my worst nightmare would soon begin. About ten minutes before we boarded I checked the weather (remember the unstable air in Oklahoma?). I quickly called my wife and agreed with what she had just heard from my mom... get out of our house. As we boarded I was talking on the phone and watching KWTV 9 on my iPad. As one of the worst tornadoes in history was building, I was realizing it was on a direct path towards my home... my wife... and my 10 week-old daughter. I've always thought about how I would handle my emotions if I was on a trip and my wife was hit by a tornado, and I kept coming to the conclusion that it would never happen to me. I frantically asked the flight attendant, Krista, if I needed to get off the plane, could I? She was very sympathetic and told me that I could do what ever I needed to. But I wouldn't be getting off the 787, because I couldn't find a direct flight to OKC from ORD that afternoon. My wife had left town and was with my parents, she and my daughter were out of harm's way. But as I had to turn off my iPad, the tornado was just passing where my house would be. path and the weather at the time we landed. For 2 hours and 12 minutes, Krista and some of United's best took care of me. I fought with the fear of more tornadoes breaking out. Was my family okay? Was my house still there? I had to come to some sort of resolve that no matter what, if my family was okay, I was okay. My phone was on during final approach -- I was hoping to get a text from my wife, but I didn't. And as soon as we landed, I called. They were okay, but we didn't know about the house. I took some deep breaths and tried to remember that it was just stuff. I waited for the cabin to deplane and went to thank the United crew who took such good care of me. Crew members wished me the best and told me they would pray for me -- and I knew they would. It was still a long trip home, and as we were on final to 17L, I could see a huge darkened area that was Moore, with millions of flashing emergency lights. There was a lot of question, and I knew I wouldn't know for several days. But now, four days later, I am in my house, with very little damage, sitting only two blocks away from total destruction. I don't normally bring religion up on the interwebs, but I serve a God who protected me, my wife, my child, and useless, meaningless stuff I have. And I am so thankful for it. I would be amiss if I didn't take the time to ask you to help those in Oklahoma. Living so close, I can really tell you how bad the devastation is. I know many of the people who were greatly affected, and I am closely connected to some of the 24 that died. Please take some time to help those in need, Donate Here to the Red Cross. If you know me and want to donate on a much more personal level, I know families who could use some help. Please contact me. But you're here about the Dreamliner.